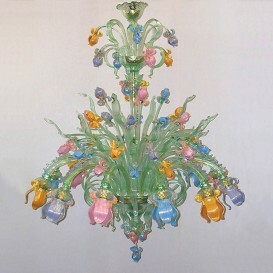 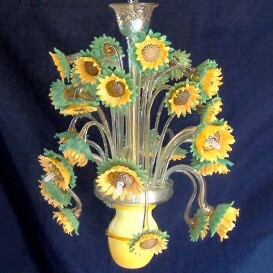 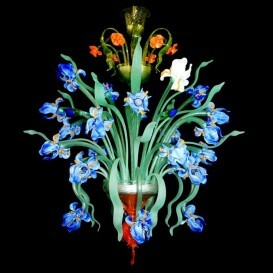 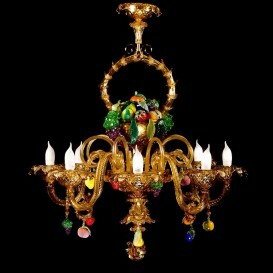 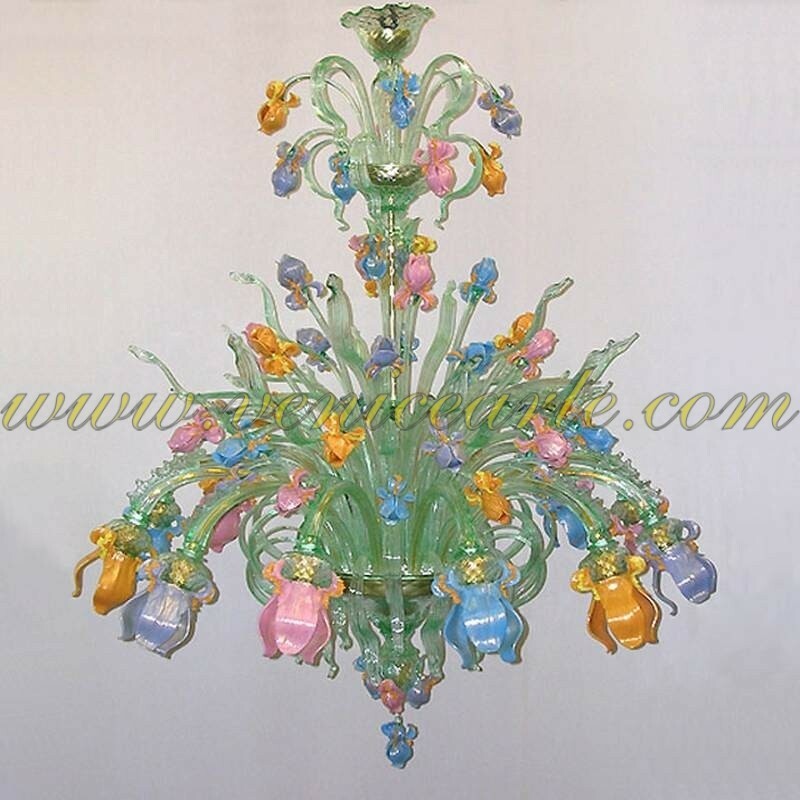 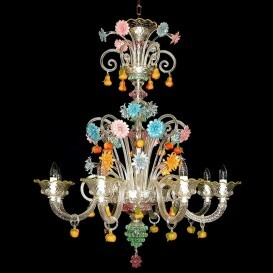 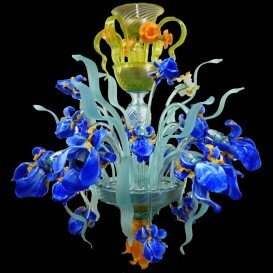 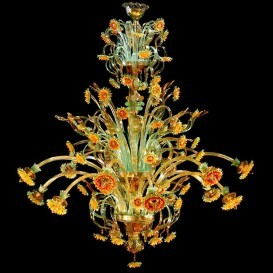 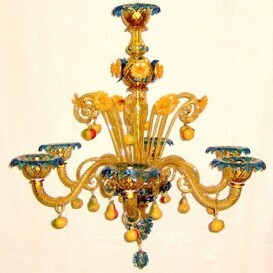 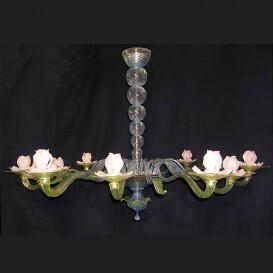 Detailed and elaborated Venetian glass chandelier with fabulous colors and unique personality made by authentic Venetian Murano glass by highly talented artists. 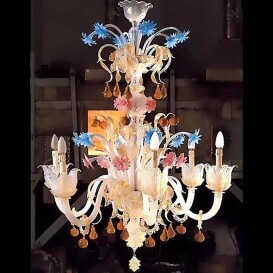 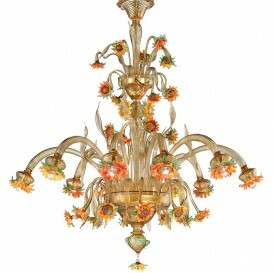 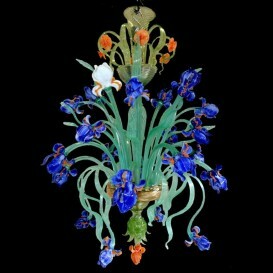 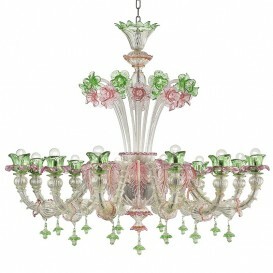 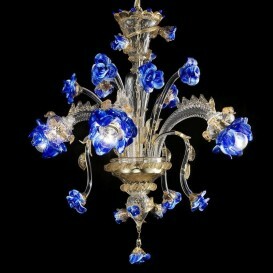 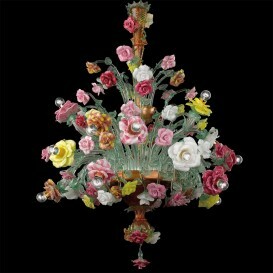 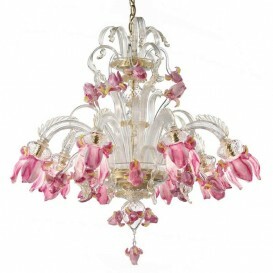 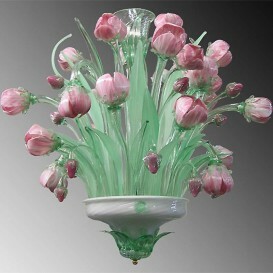 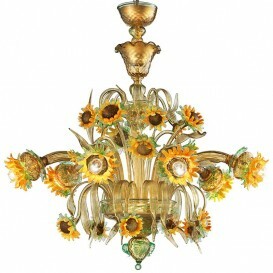 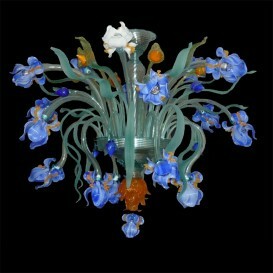 This Venetian glass chandelier has a whole story behind it. 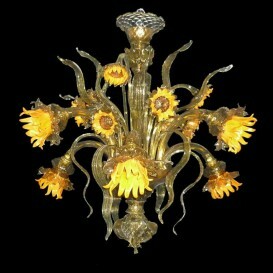 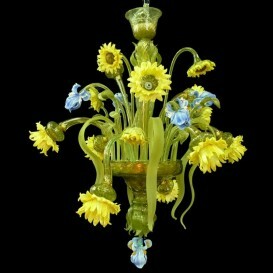 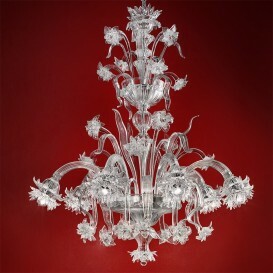 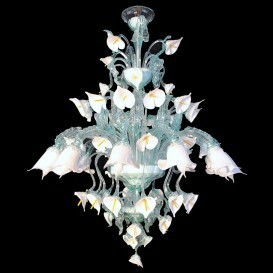 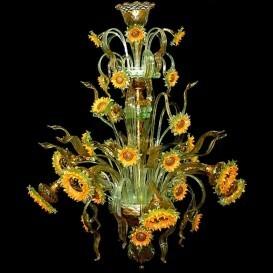 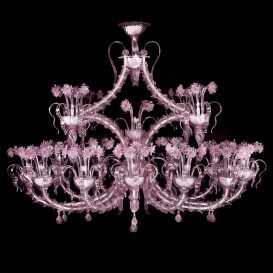 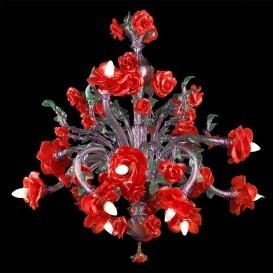 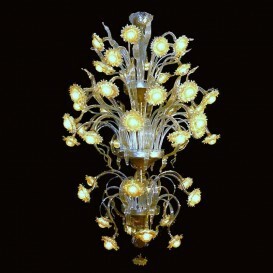 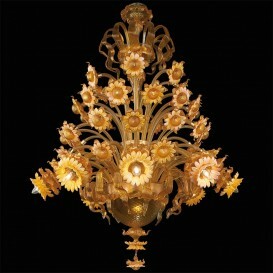 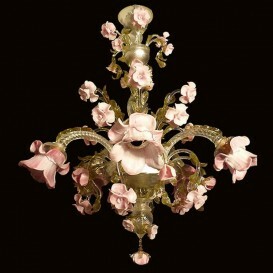 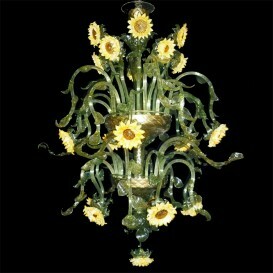 From melting the glass to mould it it is a very complex process through which experts define the chandelier. 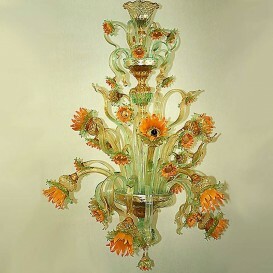 Because of its very detailed design the glass had to be melted at the same time in several furnaces to get very different semi-liquid glass in each color which was then shaped together by hand.